Softbank Mobile has partnered with credit card issuers Credit Saison and Orient Corporation to test NFC on HTC Android smartphones equipped with a SIM+antenna solution and mobile wallet software. Japanese mobile network operator Softbank Mobile is to begin a three month near field communication payments pilot in mid-January 2011. The company has partnered with card issuers Orient Corporation and Credit Saison for the trial as well as with MasterCard and technology suppliers Gemalto, Kyodo Printing and Trusted Logic. 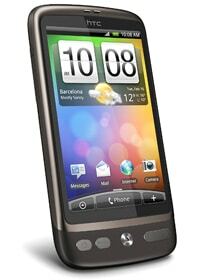 Trial participants will use an HTC Desire SoftBank X06HTII Android 2.2 mobile phone equipped with a Single Wire Protocol-compliant NFC add-on, expected to be Gemalto’s Upteq N-Flex device. For the trial the HTC phones will be used to store credit cards issued by both Credit Saison and Orient Corporation and participants will be issued with a mobile wallet application that lets them choose which card they wish to use to make a payment at MasterCard PayPass accepting merchants. Creation of the security domains used to store the credit card accounts, downloading of the credit card applications and personalization of the applications will all be performed over-the-air. In July, Softbank signed a memorandum of understanding with Japanese operator KDDI and Korean operator SK Telecom designed to enable the three companies to work together to switch from their existing non-NFC standard mobile contactless services to an NFC standard approach. In April 2010, KDDI announced it would run a series of NFC tests with a number of card issuers, airlines, a cinema chain, a car manufacturer and others.